The day began cloudy and with patchy fog. The ground was wet at the bottom of the trail from the rain the night before, but some snow began about 1/3 of the way up, and then became fairly deep for December (over a foot) on the upper part of the mountain. The trail was mostly well packed, but we postholed in numerous spots, sometimes halfway to our knees. We left home at 4:30 AM to get an early start so we could return home again by late afternoon because we had somewhere we had to be. We parked the car at the trailhead on Zealand Road, which luckily was not closed yet for the winter, and started up the Hale Brook Trail. There were no other cars parked at the trailhead. Things were easy up to the first brook crossing, which wasn’t too bad, but the water was higher than I would have expected and we had to search a bit for a good place to cross. Soon, we came to an area on the side of the Hale Brook gorge where the trail was very narrow, angled slightly sideways toward the gorge, and was icy in spots. 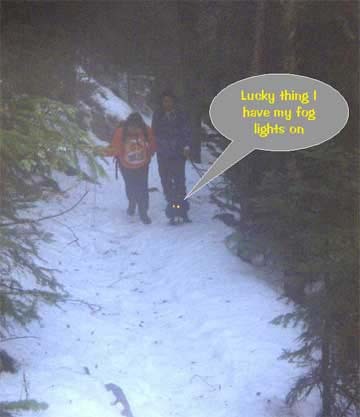 Crampons would have helped, but we didn’t have any. 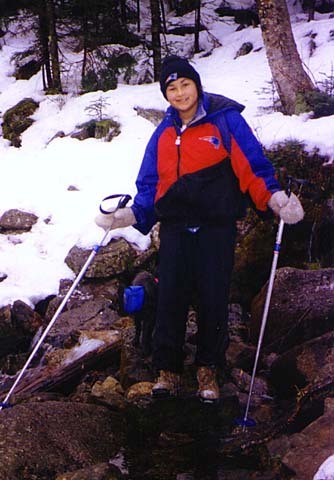 We did bring ski poles, which helped. Basically, we just took one step at time over this section. I led the way, sometimes kicking out a step in the snow to get good footing, and holding onto Holly’s hand to help her up. Erin and Muffin followed in the rear, and often lagged behind. Muffin helped pull Erin up. 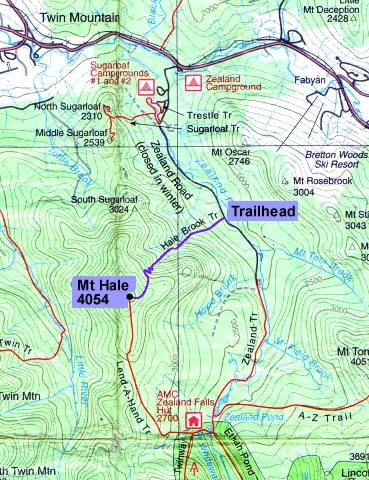 After we crossed Hale Brook for the last time, the trail got steeper and started ascending by switchbacks. 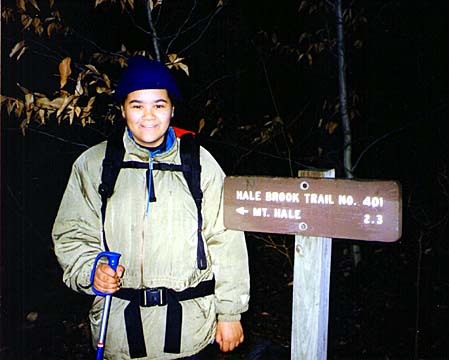 Holly at the Hale Brook Trailhead. With our early start, it was still a bit dark when we got to the trailhead. Erin at the last crossing of Hale Brook. The snow became a bit deeper and less patchy on the far side of the brook. 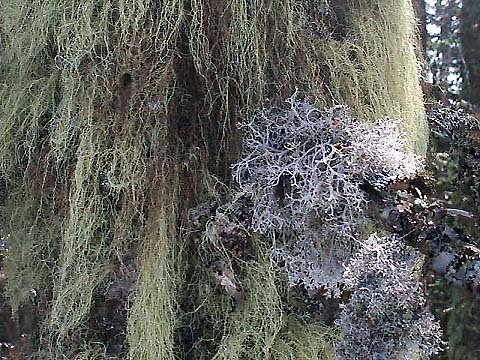 Old Man's Beard lichen hanging from a spruce tree along the trail. 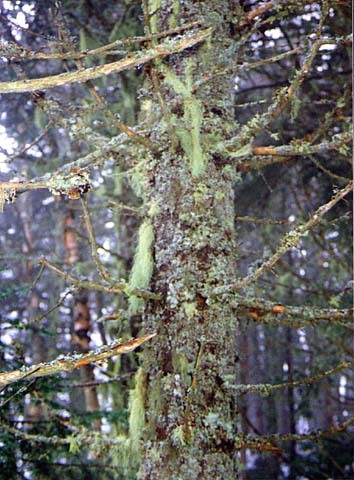 Fog on the Hale Brook Trail. The combination of rain the night before, snow already on the ground, and the relatively warm temperature made the woods rather foggy.